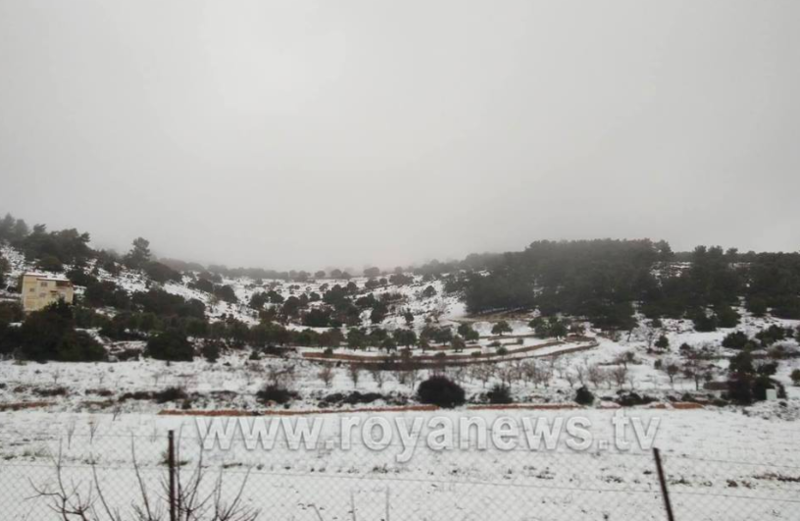 Snow posts took over Jordanian social media on Wednesday, as everyone prepared themselves for the predicted heavy snowfall, and boy, did it snow! A serious cold snap sent temperatures plummeting yesterday, and by late evening, hail that quickly turned to snow began to fall. The skies were also lit up by bright lightning, accompanied by very loud thunder. This morning, many woke up to find that the snow hadn’t defrosted, much to the joy of kids (and many adults). لا انتظار للنهار ...الليل وبياضه. It was also very foggy in most areas today, despite the cold snap now heading away from the Kingdom. However, weather conditions are set to remain extremely cold on Thursday, with a chance of rain. Back to the snow now! Roya had a camera at hand and took pictures and videos of Wednesday’s beautiful white snow across the country. This video was taken in Ajloun. And this is what Jerash looked like. Amman was pretty snowy too.